The Robot Coupe J100ULTRA automatic centrifugal juicer has a stainless steel juicer basket, grating disc, filter, and motor unit. It has a quiet induction direct drive motor that has a magnetic safety device and motor brake. An auto feed system enables continuous product input, and it has an automatic three-inch feed tube to accommodate a variety of foods. 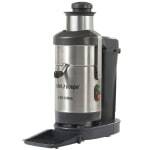 There are two ways to use the juicer: one is an ejection chute that sends a continuous pulp flow into a bin under the worktop and the other is to have the pulp filter into a seven-liter container. It has a removable drip tray and a 105⁄64-inch clearance to fit a jug or cocktail glass under the spout. 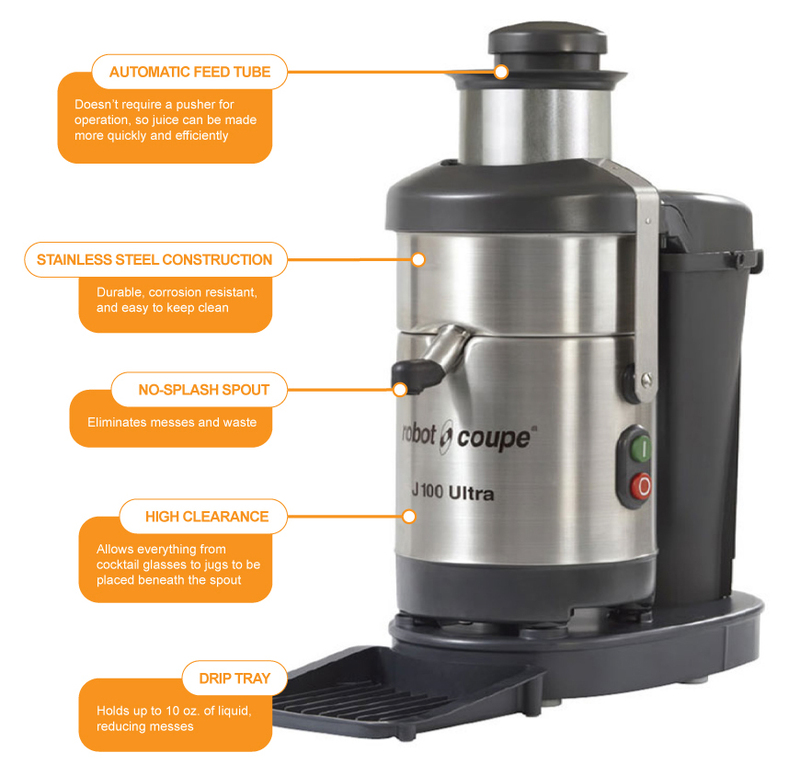 To learn more about juicers, check out our juicers buyers guide.